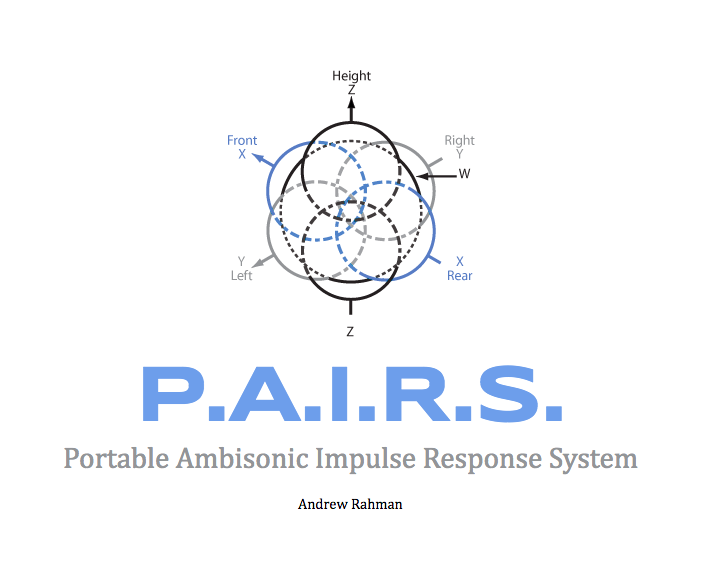 P.A.I.R.S is a project UC Berkeley Graduating Senior, Andrew Rahman, and was funded by the UC Berkeley Summer Undergraduate Research Fellowship Program (SURF). The purpose of the P.A.I.R.S. project is to capture the reverberation characteristics of historic spaces for archival and creative use. For each physical space, a kind of sonic snapshot called an impulse response (IR) is created using an ambisonic microphone. The resulting files can be decoded into any playback format–mono, stereo, 5.1, binaural, etc. Currently, no one locally is documenting spaces using ambisonics, and the only local IR online is of Alcatraz Prison which was recorded using an older stereo microphone technique. With this project Andrew set out to know what the best practices are for recordings spaces using ambisonics, know what is the best software for convolving the IRs, and to be the first, and possibly last, person to sonically document these spaces prior to their inevitable ruination.